Public awareness regarding the presence of microbeads in personal care products is lacking in some areas but there are strong indications that a ban on their inclusion would be widely supported, according to new research. Some examples of cosmetic products currently containing microbeads -- some brands have since suggested they will phase out the use. Previous research led by the University has estimated that between 4,600 and 94,500 microbeads could be released from an exfoliant in a single use, and they are highly likely to enter domestic waste water, pass through sewage treatment and filter into aquatic environments. The current study, published in Marine Pollution Bulletin, involved environmental activists, trainee beauticians and university students. They were asked a series of questions and shown the quantity of microbeads found in personal care products. Qualitative analysis showed that while the environmentalists were aware of the issue, this was not so for the beauticians and students. 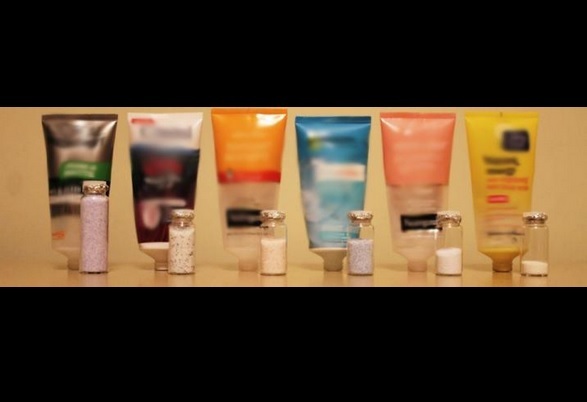 And when shown the amount of plastic in a range of everyday personal care products, all participants expressed surprise and concern at the quantities and potential impact. Researchers say it is a positive indication that a ban would be accepted. Professor Richard Thompson, who leads the University's International Marine Litter Research Unit, said: "Microbeads might be a small percentage in the overall picture, but recent reports regarding their use have represented a positive step towards resolving the much wider problem of marine debris. They are an avoidable source of microplastic to the environment and legislation would be a welcome step. This study demonstrates there would be public support for such a measure, and that future policies should be developed in close consultation with natural and social scientists to ensure they achieve the desired result."